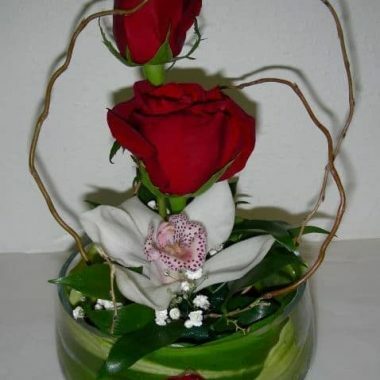 Dozen Roses in a Vase. Is she at the office and you know having a bit of a stressful day? 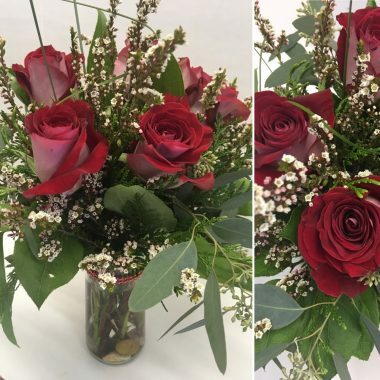 A dozen roses in a vase will not only cheer her up but the entire office as well. Getting a dozen roses at work is always a wonderful surprise. 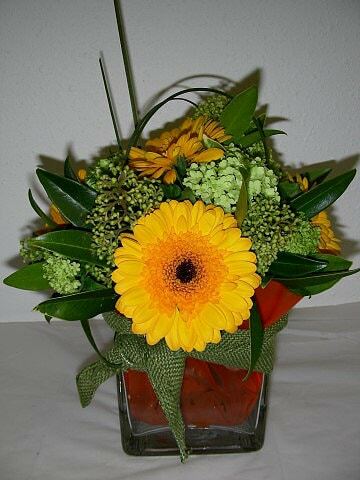 With the vase included, she can display them proudly on her desk or workstation. 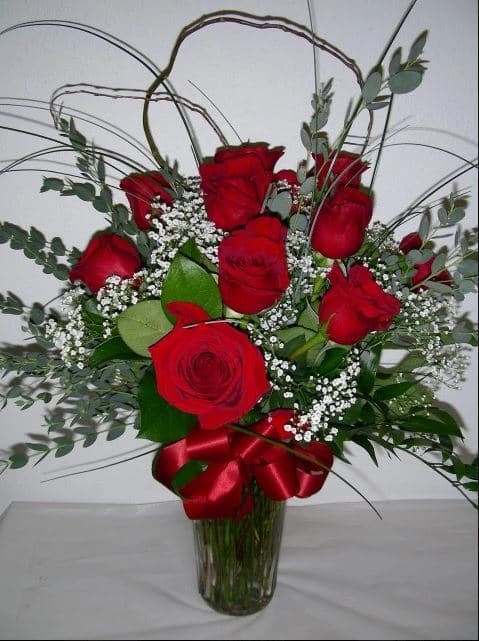 These roses are always hand selected and trimmed up to look their very best. 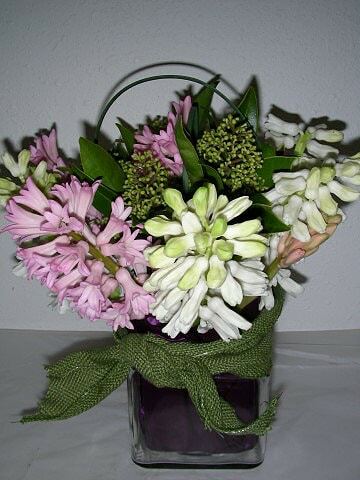 We add a variety of accent flowers to really bring out the color of the rose. 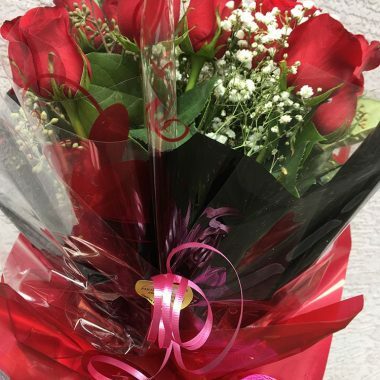 Roses are a beautiful choice for a bouquet. 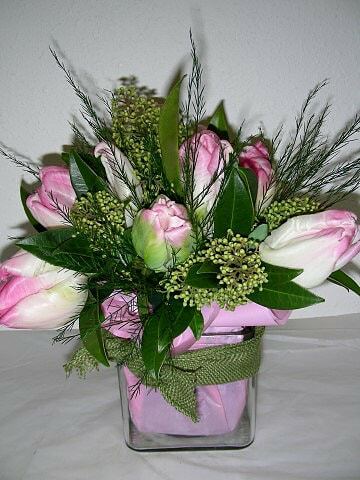 This one is complete with a large bow and vase. 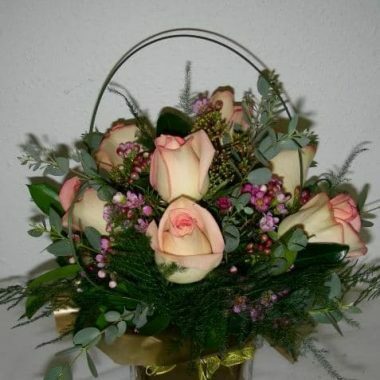 This is a seasonal bouquet and there are times that roses are not always available. In that case, another flower will be used in their place.